I have so many highlighters that I don't think I'll ever be able to use any of them up, but there have been 3 products in particular that have not left my desk. Recently, I've been moving away from really metallic and basically stripe of shine highlighters and going towards more subtle or I guess buildable highlighters. I don't know if it's because the dry winter air is making my skin show more texture, but I've been loving the look of a smooth lit from within glow. Hopefully these end up on your tree as well because they're really lovely and gift-worthy products! Rose Quartz is a gorgeous light pink shade that doesn't lean too warm (golden) or too cool (gunmetal). It's a very flattering pink that would also look lovely as a blush topper if the pinky tone is too much for you as a highlighter. I feel like the shimmer doesn't disperse as evenly as it could be or melt into the skin as well as others and so I like to have this product more focused on the highest points of my face to have the most reflect. I have been more into very very finely milled powders though and would've loved this more reflective highlight a couple of months ago. I honestly tried so hard to not get this palette since I haven't been that impressed with their regular powder and highlighters, but the swatches of the Metallic Strobe Lighting Palette really got me. With every review and swatch I saw, the more I wanted it in my collection. I also just talked about this palette in my Holiday Picks post here, but this palette fully deserves all the praises it's getting. I'm hoping that Hourglass comes out with individual pans of these highlighters because they're gorgeous! Personally, I only really use the pink and yellow shades and I end up ignoring the bronze shade. 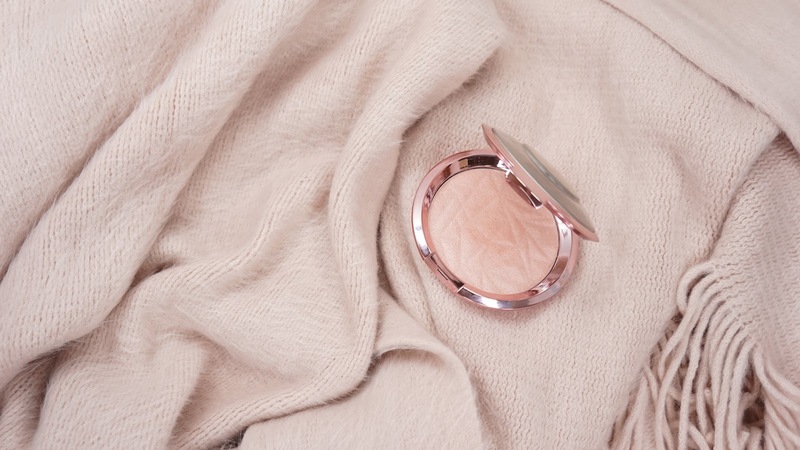 I would much rather use Radiant Light in the original Ambient Lighting Powder formula because that actually is like a very light bronzer on my skin tone, but I can see the bronze shade in this palette looking beautiful on darker skin tones. This is actually an eyeshadow shade with a satin finish, but I've mostly been using it on my cheeks and on my brow bone. With high end brands like Burberry, I want to make sure every purchase is "worth it" and so I love that I can easily use it on my cheeks or on my eyes. 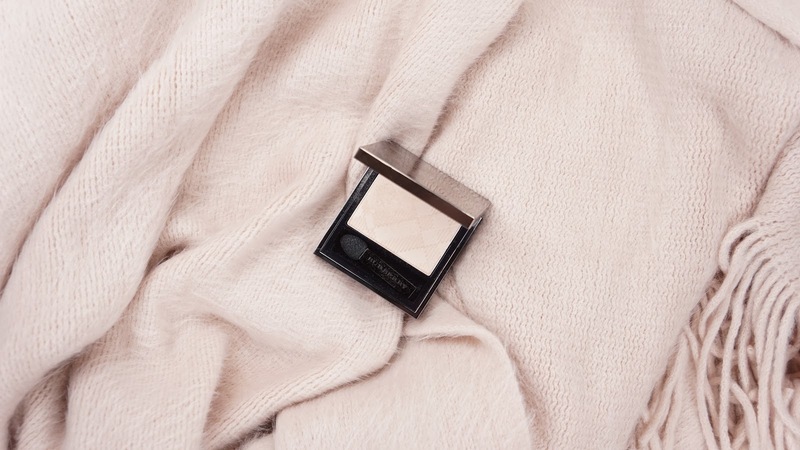 When used dry, it has a lit from within finely milled shimmer that is so flattering on my skin tone. If you want a more reflective, you can also use it wet to really bring out the sheen and glossy look. 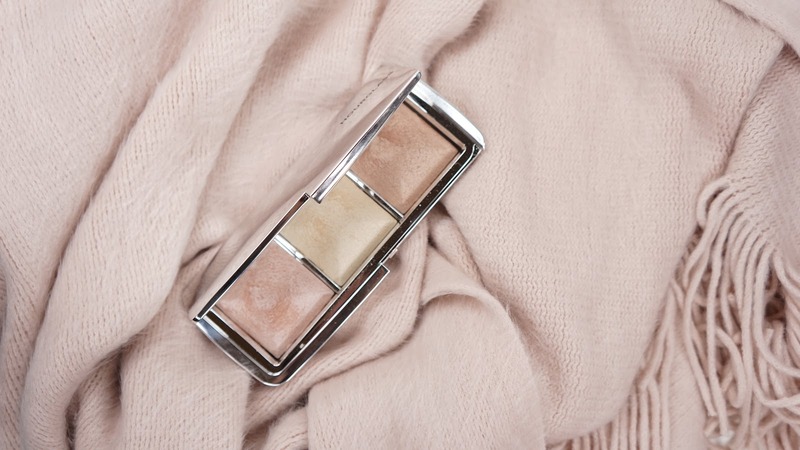 If you're into no-makeup makeup looks, this would also be the perfect highlighting product. 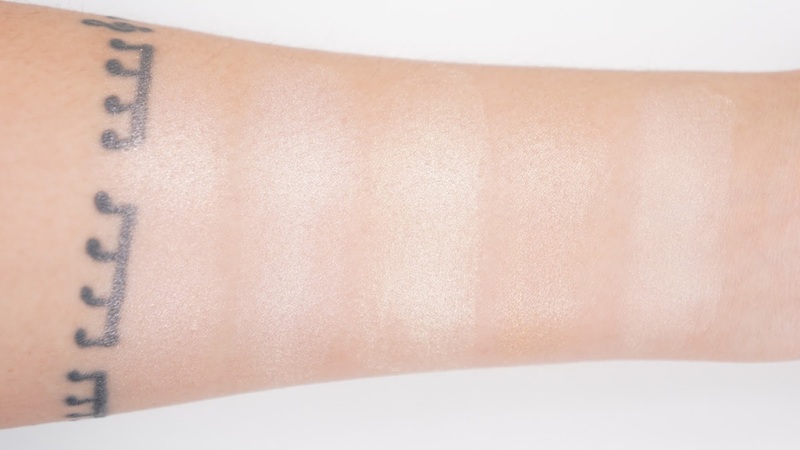 I really cannot stop praising this product and shade, but I'm also aware that it looks pretty unimpressive when swatched like in the photo below and instead shines (pun intended) with applied on the cheekbones. 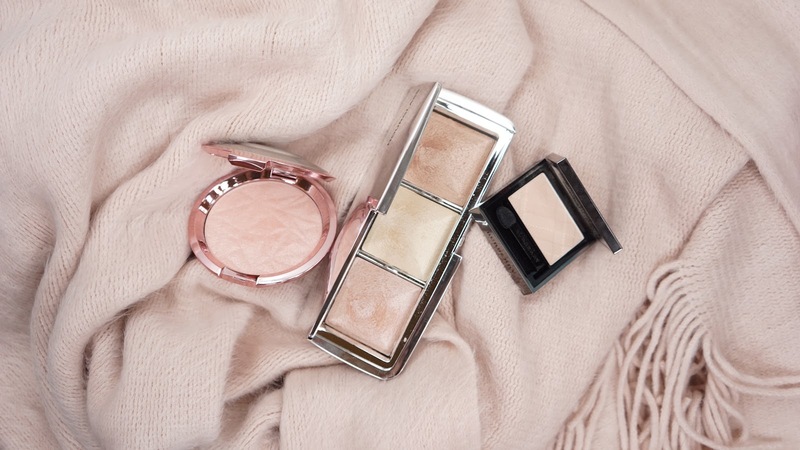 Because of how much I've been into more subtle or lit from within highlighters, Burberry Porcelain is probably my favorite to use right now. I don't like packing it on though like how I did the arm swatch photo because the base cream shade becomes more stark on my cheeks and so I use light layers with more focus on the very top of my cheekbones. The pinky shade from the Hourglass is a very close second favorite though. What highlighters have you been loving lately? Do you have any other subtle lit from within highlighter picks?